I posted something about this for the COVR-2200 however it differs a bit on the 1203. Looking to find out what the expected behavior of the 1203 schedule enabled for WiFI, nothing highlighted with in the schedule, which from what I'm seeing, seems to not disable anything for the schedule. I applied the schedule to the wifi settings and I presume this would disable the wifi radios on the 1203? What i'm seeing is when I apply this to the WiFi, the radios are still broadcasting. Now when I highlight all sections of the schedule, save and apply, the wifi radios are disabled and I don't see the SSIDs anymore however I see one signal, unnamed on the scanner. Channel 9 appears for a few minutes, then it seems to disappear then comes back. I looked at the mac address and it's B4:B2 and looking at the sticker on the Point A router, the Mac is B4:B0 so I presume this unnamed ssid is coming from the Point A router. Can you post a screen shot of your schedule settings? The dark BLUE unknown SSID signal on channel 9 is what I'm seeing from the COVR systems when schedule seems to be enabled and set to disable wifi. Has this issue been resolved? What is the verdict? I absolutely want a mesh (like) WiFi system that I can turn off at night. I can't find this information about the COVR-P2502. I haven't heard any thing yet. I'll check up on this. You are right about an EU product. I'm Dutch. I studied the manual and it only says in the cahpter "Management Time & Schedule Time" "Some extender functions can be controlled through a pre-configured schedule", nothing about which functions. I somewhere see "parental control rules", but those I couldn't care less about. I wonder if USA versions maybe are the same. They can be the same. I requested techs to test this but haven't heard back. I will check. Thank you. Please have them check ALL COVR systems if possible. The schedule problem may cover more products. Techs are currently testing this and I should get some answers later today. Can you connect to the network? That is most likely the back haul broadcasting. Yes I can access the network and internet. No, the mains are broadcasting. 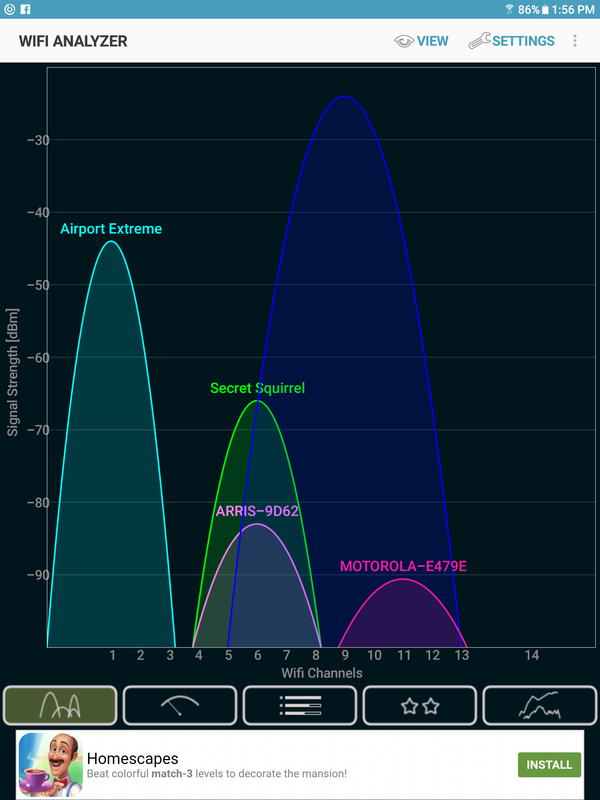 Both 2.4 and 5Ghz SSIDs are seen.